120 руб. 2-3 недели, 450 шт. 50 шт. 50 шт. 240 руб. 2-3 недели, 2146 шт. 1 шт. 1 шт. 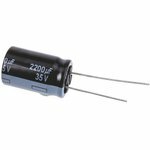 Panasonic FR Series Type A electrolytic capacitors feature low ESR (in line with the FM series). 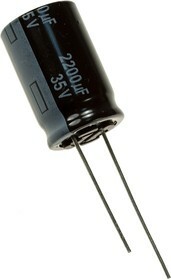 These radial capacitors have excellent endurance at +105°C between 5000 hours and 10000 hours (dependent on case size).